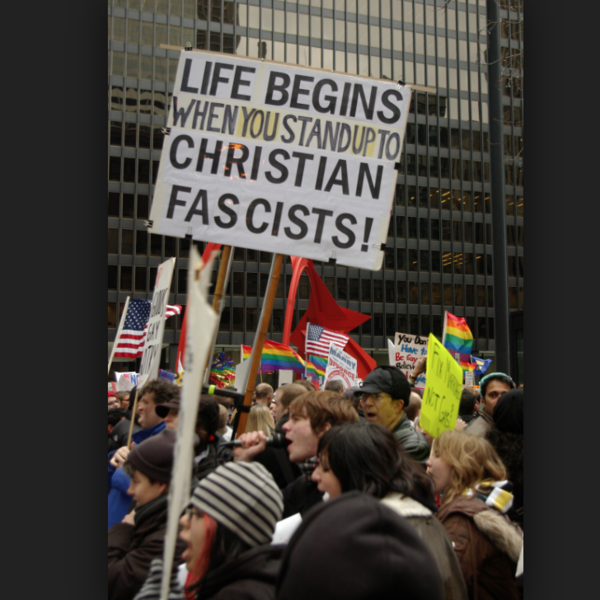 Photo: Anti-Christianity on American soil. Permissions: http://JohnBatchelorShow.com/contact . . . . . http://JohnBatchelorShow.com/schedules . . . . . Twitter: @BatchelorShow . . . . . Sebastian Gorka, host, America First Radio; in re: Nancy Pelosi’s majority is melting away. Thirty Democratic members have sent a letter to Pelosi urging her to settle the shutdown matter by the end of February – meaning, now – because our electorate demands it. Not only is Trump winning this, but Pelosi is losing her majority. Not only has Trump th0ught this through, but he’s the reasonable one, willing to make concessions. Willing to cancel the SOTU because of her demands. On the night of the dual speeches, where the networks put Pelosi on the same level as the president – bogus; she was elected not by the people but by an internal vote; she said the wall was “cruel.” She started in the losing situation. Thousands of deaths last year from opiates mostly smuggled across the southern border. Chuck Schumer wrote a bill twelve years ago allocating $50 mil for a wall; why not now? Mark Twain warned: “If you think it's true. It probably isn't. If you like the story, it probably is false.” We have here those who liked the Buzzfeed and Covington stories right away. If you have a show that has your name on it and you take a narrative stance that absolutely is not underpinned by reality . . . the confirmation bias was based on a one-minute video. We find that Nathan Phillips not only is not a tribal elder, but never was in Vietnam, was thrice in the brig, was in jail under another name. S E Cupp claims to be a Republican, a conservative. We find that left-wing billionaires are funding the bogus conservative publications. . . . We can forgive the young people for espousing socialism because history is so badly taught; but the older people? How can they? In Venezuela, we have a living example of the utter failure of socialism.